As the 50th Anniversary of Autism East Midlands enters its final three months of celebration, with still plenty of events to look forward to such as the 50th Anniversary Ball on the 20th October, the Childrens and Young Adults Flexible Short Breaks Service team challenged themselves and friends to climb up England and Wales’ tallest mountain, Snowdon. 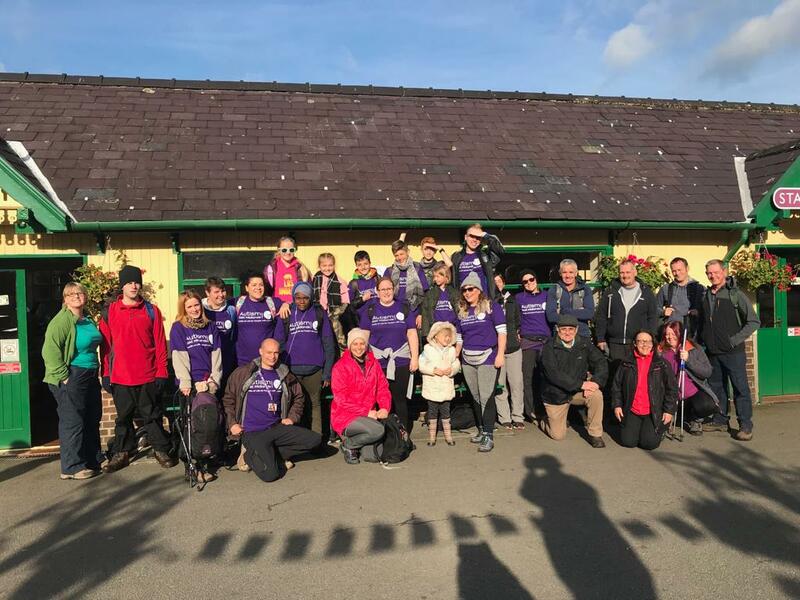 This team of climbers, made up of staff, children and supporters, set out along the Llanberis Path with the aim of reaching the summit of Snowdon and raising invaluable funds for Autism East Midlands in the process. The day’s weather started calm but as the team marched higher up the mountain the clouds limited visibility as the weather took a turn for the worse. The final stages of the climb were a battle but the team were ecstatic to conquer Snowdon, and there were massive smiles on everyone’s faces at the summit. The climb was a huge success and it has inspired regular users of the Children and Young Adults Flexible Short Breaks Service to dream bigger, as they mentioned the challenge of taking on an even bigger mountain, Ben Nevis, next year. Thank you to everyone who joined the climb and supported Autism East Midlands.